There are endless ways teaching English to school children. My elder sister is an English teacher in a primary school and I am surprised when I see different practices and technologies of teaching. When I was in primary school, we used to memorize songs to recall vocabulary etc. Now everything is different and easy. Visit our Facebook page to read more posts about languages! Let’s get connected more! We are on Google+. Pity that no. 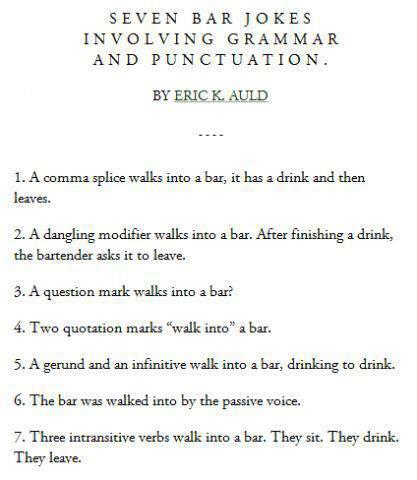 5 doesn’t include a gerund: in that example, “drinking” is a participle.